'Your Face Sounds Familiar' had a very successful pilot episodes on ABS-CBN last weekends, March 14 and 15, 2015. It's so fun to watch and I will surely not gonna miss the next episodes. like a particular music icon, and impress the jury members composed of Sharon Cuneta, Jed Madela and Gary Valenciano. 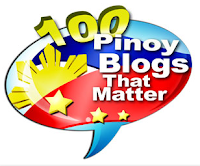 Jay-R performed as Pepe Smith, while Karla did Sharon Cuneta, Tutti sang like Freddie Aguilar and Melai was Nora Aunor. The rest, Nyoy, Edgar Allan, Maxene and Jolina, imitated international singers Michael Jackson, Usher, Taylor Swift and Lady Gaga respectively. Then each of the judges had to assign 1 - 8 points to every performer. If I were to judge them, I would give 1 point to Tutti, 2 pts to Maxene, 3 pts to Nyoy, 4 pts to Jolina, 5 pts to Karla, 6 pts to Melai, 7 points to E.A. 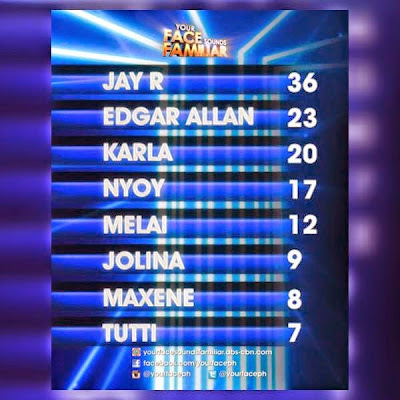 and the highest, 8 points to Jay-R.
Now, each of the performers has 3 points to give to just 1 co-performer. Karla gave her 3 to Tutti, Melai gave it to Karla, Maxene assigned it to Edgar, while Nyoy, Tutti, Edgar and Jolina all gave Jay-R their "3". After all points were combined, Jay-R was the clear highest pointer and was named Celebrity Performer of the Week, winning P100,000.